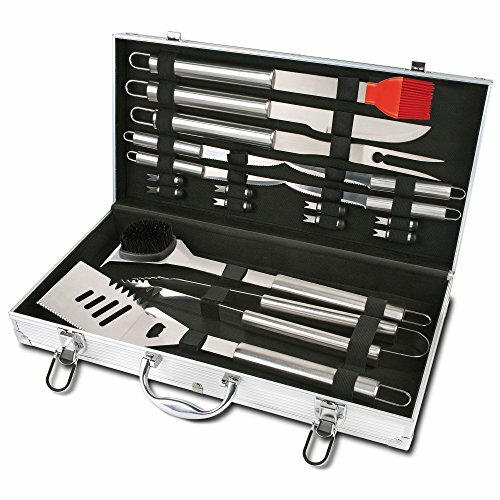 Chefs Basics Select Hw5305 18 Pc Stainless Steel Bbq Set, Silicone Basting Brush, 8 inch All Purpose Blade, Heavy-duty Bbq Fork. If you have any questions about this product by Chefs Basics, contact us by completing and submitting the form below. If you are looking for a specif part number, please include it with your message. Keg-a-Que 175 Inch Chrome-Plated Steel Wire Toolbox Indoor Outdoor Use Charcoal Grill, Measures 13" x 20" x 21"